This piece was commissioned. 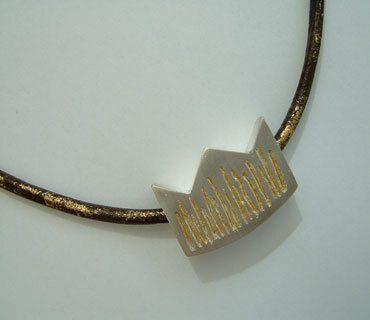 The crown is a hollow form with etched lines gilded in 24ct gold leaf by the Keum Bo method. The crown is strung on gilded leather thong which is fastened by a hand formed silver link and hook.